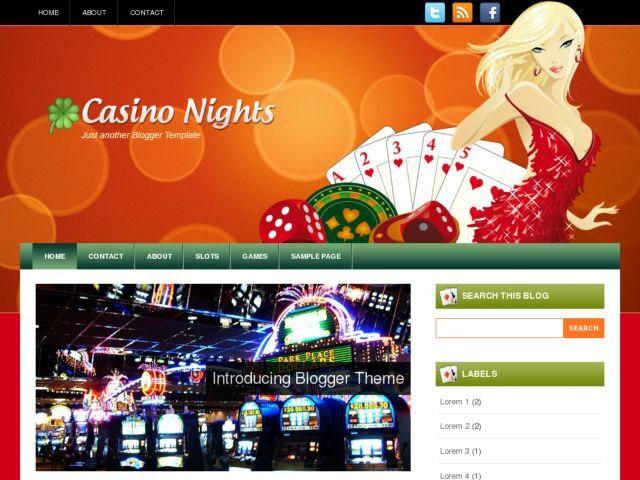 CasinoNights Blogger Template is a free blogger template which uses the theme of casino. Template features: 2 columns and right sidebar, fixed width, 3 footer columns, internal searchform, nivo slider. This template is suitable if used on a blog with the theme of the casino or gambling. Download CasinoNights Blogger Template at Blogger Templates Gallery.